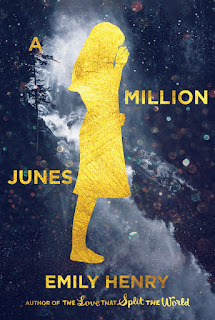 Brittany's Book Rambles: Inspiration for A Million Junes by Emily Henry! There are two things everyone in Five Fingers knows about the O'Donnells and the Angerts. One: They've been there the longest, ever since the town was first founded in the Gold Rush days. Two: They hate each other. June O'Donnell—a.k.a. Junior, a.k.a. Jack, a.k.a. Jonathan O'Donnell IV, a.k.a. the first female O'Donnell first-born—has always been haunted—in more ways than one—by her family's complicated legacy. When June's father and best friend, Jack III, died suddenly seven years ago, she made up her mind to skip college and live the life of adventure that her dad always wanted for himself. Now seventeen and heading into her last year of high school, June is itching to leave her ghosts behind in Five Fingers and travel the world. It's not that she's not happy—she is, mostly—grief has left her with an emptiness that she believes only real life experience can fill. But then what kind of O'Donnell would June be if an Angert didn't swoop in at a crucial moment and ruin everything? Enter Saul Angert, the eldest son of Eli Angert, a.k.a. June's father's mortal enemy, back in town from a writing career in the city to care for his ailing father. Somehow June's path just keeps getting tangled up with Saul's, no matter how creatively she tries to avoid it, until the unthinkable happens: She finds herself intrigued by this gruff, taciturn, yet strangely tender boy whom she was born to loathe. But when June and Saul accidentally stumble into a bit of the forest magic, they are allowed a glimpse into the past at the fateful, horrible moment that started all the trouble between their families. Now, everything is different. The only problem is, June doesn't know if this new discovery means she should hate the Angerts even more, or if it's finally time for her—and all of the O'Donnells before her—to let go. 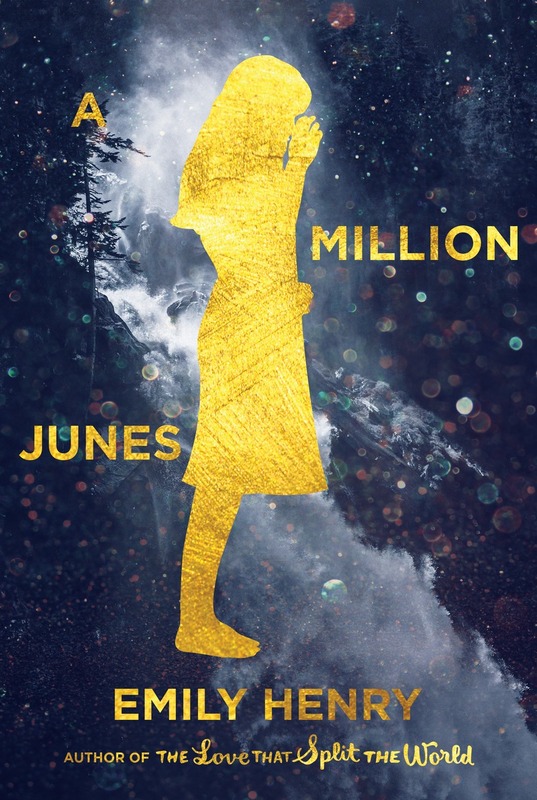 A Million Junes is the story of a magical town in northern Michigan and the two families who have been feuding over it, in small ways, for roughly a century. The story follows the two youngest members of these families, June O’Donnell and Saul Angert, as they try to uncover the truth about what started the history of hatred between their families, after lifetimes of hearing conflicting and larger-than-life stories about both the feud and the magic of the land the two families live on. That’s, on a literal level, what the book is about, what happens in it. But for me, premise and theme are usually two distinct elements whose connection is unclear until I’ve written to the end of a first draft. And with this book, more than any other, revision felt like an archaeological dig, a search for the true meaning of the story’s events. From its first conception (then titled Ghost House) to every iteration after (when it was The First and Last Temptation of Jack O’Donnell and when it was We Are Just Moments Drifting in the Light and when it was a half-dozen other books), this book has become clearer and clearer in my mind. Each draft allowed me to chip away at the muck and mire of the initial draft until I finally understood what I had written and why I had written it. When I talk about A Million Junes, I often call it my “Grief Book,” and while I didn’t knowingly set out to write this particular kind of book, grief was something I was dealing with and meditating on as I worked. This book first began to pop up in my thoughts a few days after my family dog passed away, and over the following weeks, it grew and grew until I knew I had to write it. While I’d lost a handful of family members and friends before losing my sweet dog-friend, there was something about that loss that shook me. It occupied a lot of my thoughts then and even now, I still sometimes surprise myself with the new little waves of grief I experience over losing my best friend, my strange animal confidante. I think, in a way, mourning her opened up a door in the wall I’d built around grief. And once I opened that, I began to experience grief for the people I’d already lost, and grief for all the people I know I someday will. I didn’t know when I began writing A Million Junes that I was writing about death—I only knew I wanted to write a dreamy romance set in the wilds of Michigan, something strange and magical with a whole lot of heart—but looking back, I understand that writing this book was my way of wrestling with grief and the surprising ways it hits us, again and again, the way that it never wholly lets up, and the fact that we have to find meaningful ways to go on. The first and deepest seeds for this book truly came from that summer of saying goodbye, and in the later stages of drafting, when I realized that, the whole book clicked into place for me. I understood the two married thoughts that form the spine, and how I’d gotten there. The first was a thought about loss. It started with a very specific realization: when you choose to adopt a pet, you’re agreeing to an unspoken contract that you’re going to love something that you will very likely outlive. You’re intentionally bringing something into your life that you will have to say goodbye to. You’re saying that the benefit of loving this animal will outweigh the pain of losing it. But beyond that, the truth is, anytime you give yourself a chance to love someone, you’re entering into the same agreement. Because whenever you love someone, you have to accept that eventually you will lose them. And for a sensitive person, for someone who values love above all else, that can be an earth-rattling realization. In A Million Junes, both Saul and June have lost the people they most identified with in the world, the people who they feel made up, in large part, who they are. Years later, Saul and June are as defined by these losses as they are by the people themselves. They’re both still wrestling with grief, with the fear of losing these people more and more as time wears on, and with defining themselves in the wake of their losses. But there’s another important element of the book, which is the stories. Both Saul’s family, the Angerts, and June’s family, the O’Donnells, are known around their small, northern Michigan town of Five Fingers for having these mythic legacies, full of larger-than-life stories. As descendants of the “founders” of the town, these two families are seen almost as folk heroes around town. And of course June and Saul have inherited these stories from their parents. So while they’ve both lost the people who helped define them years before, they have this wealth of stories that can’t possibly be true, both because they’re so strange and because the two families’ accounts are often conflicting. The way they interact with these stories is very different. For Saul, who’s had a rocky relationship with his father from the very beginning, the stories are a source of resentment. They’re “proof” that his father was a liar, that he was self-aggrandizing and self-important. The stories are something he’s spent his life trying to escape from, so he can just be himself, rather than his father’s son. For June, who adored her father above all else, the stories are a benchmark. They’re everything that made her father great, everything that she should aspire to be. And strangely enough, this was the second seed of story I found in losing my family dog. I was struck by the fact that something that small—an animal you can’t even have a conversation with, a creature that’s spent most of its short life in one house and one yard—could leave such a profound mark on my entire family. So often we think of “leaving a mark” as doing big things, important things, and it can be. But I also was and am blown away that such a tiny, contained life could bring so much joy and comfort into the world. By the way you can feel so known and so much like you know someone (or some-dog) even without being able to know everything about them. It might sound silly but I can honestly say that losing my dog changed my perception of what makes a life valuable. I realized that when I get to the end of my life, I want to look back and know that, if nothing else, I loved my handful of people and the plot of grass around me very, very well. So as much as this is a book about two teens uncovering the truth about their Big Stories, it’s also about something else. It’s about two teens realizing that sometimes, the epic stories a person tells aren’t the most important ones. Sometimes it’s the small stories that are most precious. That the things that really define us are the quiet moments when we loved our people well. These are the moments that outlast everything. Enter for a chance to win one (1) of five (5) copies of A Million Junes by Emily Henry (ARV: $16.99 each). NO PURCHASE NECESSARY. Enter between 12:00 AM Eastern Time on May 15, 2017 and 12:00 AM on June 2, 2017. Open to residents of the fifty United States and the District of Columbia who are 13 and older. Winners will be selected at random on or about June 7, 2017. Odds of winning depend on number of eligible entries received. Void where prohibited or restricted by law. I love finding books set in Michigan. this book is a must read for me from all the excellent reviews it's been getting. I loved her first book so I hope I win a copy pf this one. 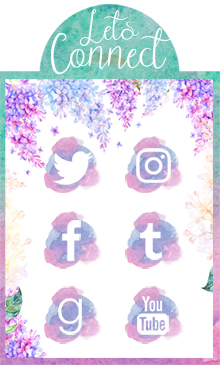 Thank you for this post and giveaway! I loved her first book and am super excited for this one! Thank you for the chance! 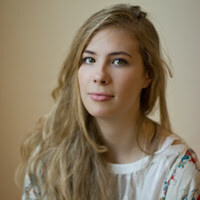 Her debut novel was one of my most anticipated releases and now here comes another one! It sounds really great! Look forward to reading this book great book review. Loved this guest post! I also find it interesting that she kept a storyboard so she could keep the timeline in tact (instagram story). This sounds like a wonderful book. The Love That Split the Earth was an interesting read for me, and A Million Junes sounds just as whimsical and intriguing. It's also interesting to see this was a grief book, but nevertheless, I'm excited to see what romance Henry has in store for us. Sounds emotional. I have a feeling I would connect to a part of it since my dog just passed and this was prompted by the same incident. Will have to think about this one. 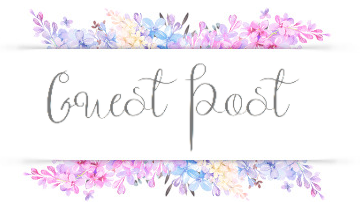 :) Good guest post. This post is so lovely ♥♥♥ A Million Junes sounds like a great read and I hope I get to read it one day. Thanks for sharing, Brittany!